If you checked out the wristwear being sported in some of the world’s super ports this summer, it probably won’t have escaped your notice that retro-look dive watches are just about the hottest horological ticket right now. The trend is partly to do with the fact that original 1950s, 1960s and 1970s examples from familiar makes such as Rolex, Omega, Blancpain and Jaeger-LeCoultre – and funkier designs from more obscure dial names including Favre-Leuba, Yema and Eterna – are enjoying their moment in the sun at auction, with a 1956 Rolex Submariner recently fetching more than $1 million at Christie’s. The Submariner has been in continuous production since 1954 but other marques that allowed comparable models to slip by the wayside are now reintroducing them into their ranges. So now there are a host of watches that look similar to the originals but, thanks to 21st century engineering, are a whole lot more practical for daily wear (especially on a boat, where modern standards of water and shock resistance really prove their worth). 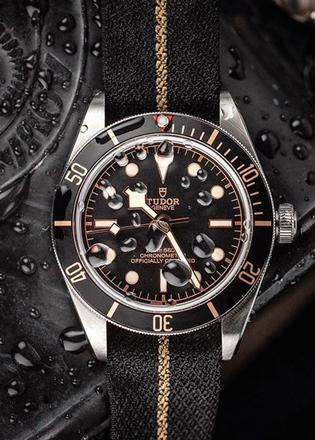 Tudor, for example, has enjoyed huge success with its Vintage Black Bay models based on 1950s designs, while Omega’s retro-inspired Seamaster 60th anniversary limited editions launched last year have also proved a hit. The same is true for Blancpain’s various Fifty Fathoms models, Eterna’s relaunched KonTiki, Rado’s Captain Cook and the Longines Legend Diver. The revived dive model that has caused the biggest splash of 2018 is probably Jaeger-LeCoultre’s Polaris (pictured top). The original Polaris Memovox appeared in 1965 and was based on the Memovox Deep Sea, the first dive watch to combine a self-winding movement with a mechanical alarm designed to warn the wearer when it was time to head back to the surface. The Polaris featured an acoustic case back and three separate crowns, one for setting and winding the alarm, one for setting the time and the third for operating the inner rotating bezel. 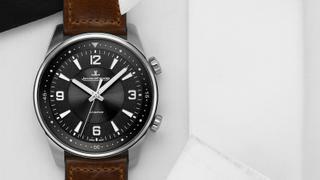 This year, Jaeger-LeCoultre has captured that 1960s aesthetic, but not just by recreating the Polaris alarm watch. Instead, the company has adapted the look to suit no fewer than five new models: a three-hand automatic, a chronograph, a world time chronograph, a date version and, naturally, a modern-day Memovox, complete with shrill mechanical alarm. Most watch fans seem to like the latter the best – but you’ll need to get up early to catch one as only 1,000 are being produced.